Our short-run cosmetic boxes will stand out in a crowd. Custom decorated with traditional offset printing or short run digital printing. We cut the high cost of a small run orders for folding boxes with digital printing. card stock, die cut, glued and delivered ready for you to add your products. If your bottle or jar fits one of our in-house dies, no additional charge. a One-Time Additional Die Charge is needed. From $195 to $295 based on the box size. Send us a sample of your bottle, jar or tube so we can measure and create a CAD template drawing. The CAD drawing is created so your graphic artist has a guide to design each panel. We make a white box sample to check for exact product fit. The final step is laser and tool a wood board with steel blades and blunt metal for score lines. Each die can be used over and over for many years. Print Multiple Cosmetic Boxes at the Same Time and Save. 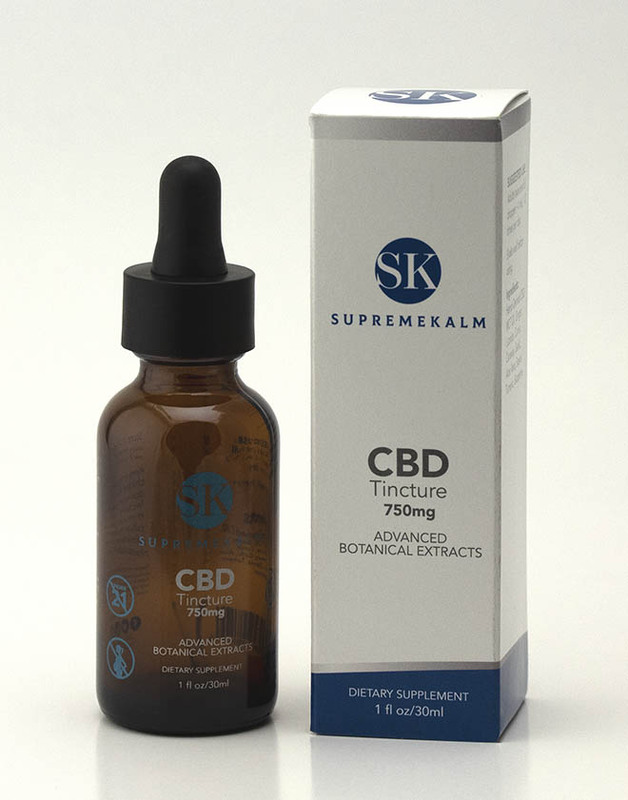 Send us a sample of each bottle, jar or tube so we can measure and create a CAD template drawing for each box. The CAD drawings are created so the artist has a guide to place final art design for accurate printing. We laser cut a white box sample for each product for exact fit. The final step is tooling a wood board with steel blades and blunt metal for the score lines. Your die will last for many years. Each box design is very personal and we have printing techniques that will help your product get noticed. We supply you with the box die line for your graphic artist, box proto-types & exact CAD drawings for proper fit. We pay close attention to every detail and excited to help you make a beautiful box. printer with fair pricing and 25+ years in business! 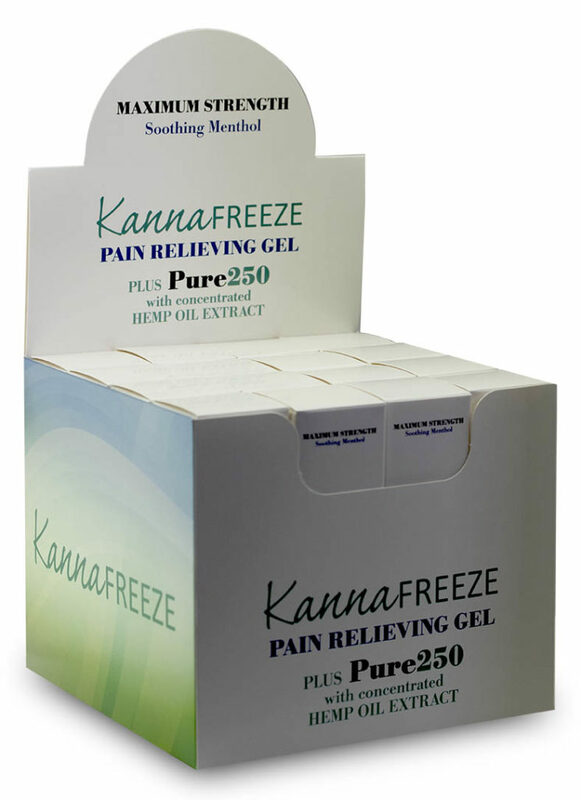 Custom printed cosmetic boxes for your creams, lotions, scrubs, foamers and combo kits help complete your product branding. We can design cosmetic boxes in any shape, size, special finish, inserts, platforms and trays to achieve your objective. Our premium rigid boards can provide you with thickness from 24-48 point. Add special features such as a closure magnet, high gloss or soft touch suede laminate, hot foil stamping and/or spot UV coatings for an eye catching design. A decorative box completes the perceived value of your more expensive specialty products. Call Bill at Blue Line Labels at 1-800-609-7079 for all your packaging needs. 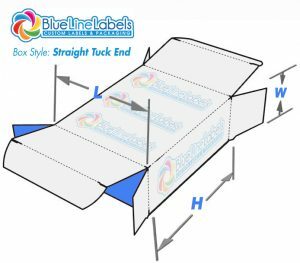 A straight tuck box is designed to have both top and bottom closing flaps hinged on the same side of the box. This box style gives a clean and appealing appearance to your inserted product because both flaps are positioned in the back of the box. Assembles quickly and has finished edges on the front, which improves the overall look of the box in comparison to reverse tuck box design. Both types of boxes are glued the same during manufacturing. A reverse tuck box is glued together on one side and designed with top and bottom closing flaps placed on opposite ends of the box. 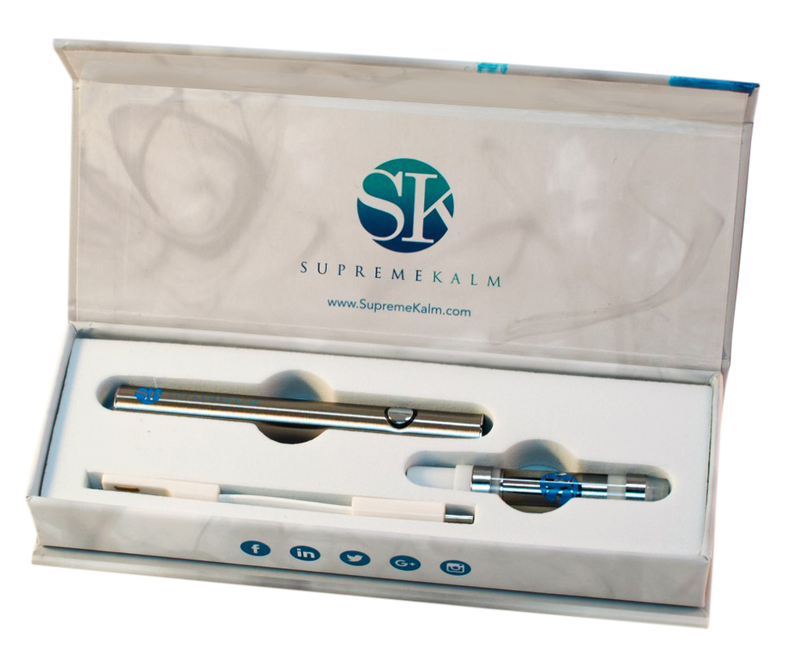 Both straight and reverse tuck box styles allow your product to be inserted from the top or bottom and quickly assemble. When product is standing, one flap opening will be present in the front. Reverse tuck end boxes are able to be stocked closer together due to its design. Since flaps open on opposite ends, we like to put the opening flap at the bottom of the box. A typical tooling diagram showing die lines as well as layout for print position. 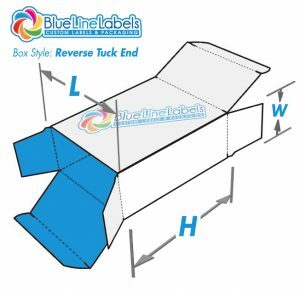 Blue Line Labels delivers your order accurately and on time. Our 25 years of art, design and print experience will assure you of an excellent quality product and a professional cost effective relationship. We can help from concept to completion or anywhere in between. Your printer becomes a critical part of your business. 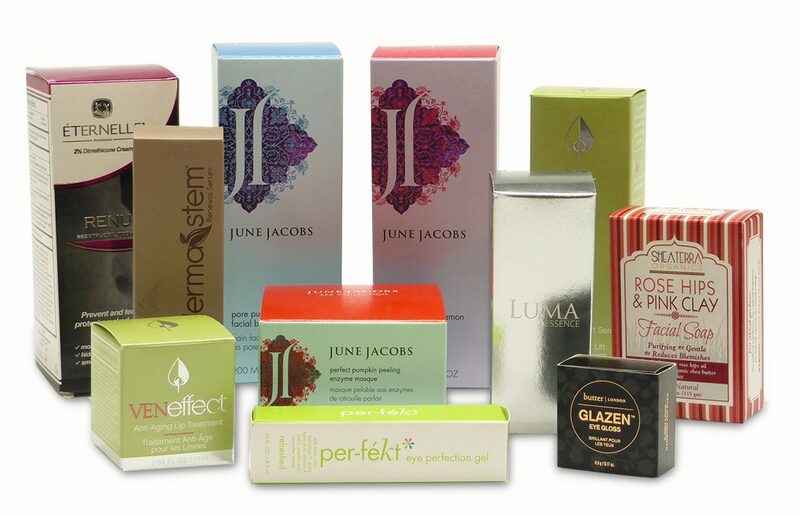 Your cosmetic boxes and packaging represents your company image and shelf appeal. Just like any business partnership, do your research and you will realize that we give you the extra time to ensure you a perfect final product. 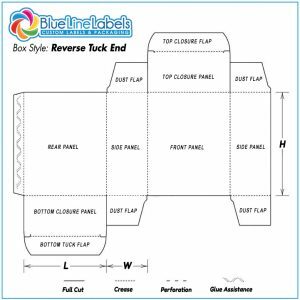 Contact Bill or Devin at Blue Line Labels for a quote at 1-800-609-7079. Once your company has established a product is selling and needs more visibility, a point of purchase display box is a simple way to make a professional appearance sitting on the counter to increase sales. We can make any shape box needed with a minimum of 1000 units.